The Central State University Board of Trustees announced today Dr. Cynthia Jackson Hammond as the 8th President of the University. Dr. Hammond has built a distinguished career in higher educational leadership. Under her guidance as provost and vice president for academic affairs at Coppin State University, she guided six prominent initiatives: the reformation of the General Education core curriculum, establishment of the Center for Undergraduate Research, 2010 strategic planning, development of the First Year Experience program, designed and received external funding for the Advisement and Retention Center for the School of Education, and development of tenure criteria. Most recently Dr. Hammond served as a lead consultant for H&H Educational Consultants specializing in strategic planning, curriculum design, accreditation, and standards-based assessments. Cynthia Jackson Hammond holds a Doctorate of Education from Grambling State University, a Masters of Education from University of Louisiana in Monroe, an Education Specialist degree from University of Louisiana in Monroe, and an undergraduate Bachelor of Science degree also from Grambling. Dr. Hammond is an outstanding and sought after speaker on issues related to cultural competency, the unique contributions of HBCU’s, and global education. She has a number of publications to her credit and is a Harvard Fellow and a 1987-89 Louisiana State Board of Regents Fellow. “I am extremely thrilled and honored to be named the next President of Central State University. This institution has a 125-year history of academic excellence and transforming the lives of students. I look forward to joining the campus community of administrators, faculty, staff, alumni, and students to continue this great legacy and lead the University toward meeting the needs of an ever-changing society and a global future,” said Dr. Hammond. “From a total of 51 candidates, Dr. Hammond was one of four presented to the Central State University Board of Trustees in late April by the Presidential Search Advisory Committee. The Committee was comprised of faculty, students and alumni,” according to Dowdell. “Our goal was to select a leader who would build on the accomplishments of John W. Garland who led the University for 15 years.” Garland announced his retirement from his alma mater last September and will leave Central State University June 30. Dr. Hammond is a native of Monroe, Louisiana and is married to Dr. James Eric Hammond Sr. The couple has three children; James Eric Jr. married to Sylvia Woodard, Christopher Adam, and Erin Jenea. The Hammonds are the proud grandparents of Alexander age 6 and Franchesca age 2. 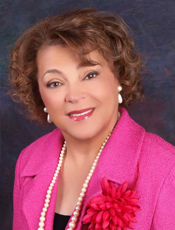 Dr. Cynthia Jackson Hammond’s appointment as President of Central State University is effective July 1, 2012.